The year 2015 has been very productive albeit quiet year for EDGEKIT as a company. As early as December 2014, we have been quietly designing and developing for our Small and Medium Scale Enterprise clients a small business application system that provides Customer Relationship Management, Sales and Inventory Management, and the fundamental components of an Employee Payroll Management System. We are now offering this solution to interested agents and parties for evaluation and acquisition under a win-win-win situation for the agent, client and company. Please feel free to get in touch with us on this system for more details. Steve Jobs used to believe that work and play is one and the same. Who would have thought that learning how to program would be fun, approachable and less intimidating when you try to program how the character of your choice in Star Wars, Minecraft, Frozen and other themes can move around to achieve certain goals? EDGEKIT will proudly end the year 2015 by sponsoring the Hour Of Code to be held in Walter Mart Gapan Activity Center in Gapan Nueva Ecija on 27 December 2015 to be held from 10AM to 5PM. We are inviting children aging five (5) to twelve (12) years old to join and learn. We gratefiully would like to thank the other sponsors: Microsoft, Deaprtment of Science and Technology (DOST-ICT), Mobility IT for Youth, Bitstop Network Services, Game Developers Association of the Philippines (GDAP), AIE Gapan, The Collab XYZ and Walter Mart Gapan, and of course we are very thankful to Mr. Wilson Censon, our Regional Marketing Manager in Northern Luzon. Coming from the technical standpoint, we can draw an analogy of the good old number of lines of code as measure of productivity with the manual, repetitive and tedious task of writing the teacher's lesson plan, at least for the primary and secondary teachers in the Philippines. Much so in Fred Brooks' classic Mythical Man Month, superior productivity isn't just a matter of writing more code, but also writing the right code to do the job. In the case of the teachers, could it be that our quality of education is not at par with progressive countries because we are more concerned with the quantity than with the quality of the lesson content? Worse, could it be that the teachers spend more time writing the lesson plan and little on enhancing the lessons by contributing into a lesson plan pool where teachers can share and apply the best practices in conveying knowledge most effectively? As of this writing, it's the last few days of the last quarter of 2015. The following year, 2016, is the much awaited ASEAN integration, where the member countries of ASEAN (Association of Southeast Asian Nations) will have full integration of economic communities, where locally produced products will have head to head competition with our neighbor countries while enjoying tariff free trade. As noted in this article, it states that we "need to step up our efforts to improve the competitiveness and capability of our various local industries, as we participate in regional and global trade." In line with this, the local startup community should be supported and strengthened. Startups are built on ideas, and the breadth, width and depth of ideas can only come from the quality of education provided to our citizenry. More than ever, the importance and quality of education in our country is highlighted along with the deficiencies and areas of improvement we need to address if we mean to compete and not be ran over by our neaighbor countries in terms of economic, political and technological relevance in 2016 and beyond. Please share with us and our fellow readers your ideas on how to improve the quality of education that will reflect on the professional and economic competence of our country. This coming 26 September 2015, we're very proud and honored to be part of Computer Professionals' Union (CPU) celebration of Software Freedom Day 2015 to be held at University of Makati a.k.a. UMak. Aptly subtitled "PrismBreak v.2.0: Breaking out of the global digital shackles," we will talk about the most secure and need we say, best free and open source operating system on the planet to date: OpenBSD, see you on the FOSS for Developer Sessions. For tinkerers and hardware buffs, you may want to check out the FOSS Art and Open Hardware Sessions. Looking forward to see old friends and meet new ones. Register now and be there! We admittedly again went on a seemingly long hiatus, but be rest assured we never forgot the community on which we draw our strength and inspiration from. We actively participated and was recognized in hackathons and technological events where we explore new opportunities and challenges. Last 21 May 2015, as reported in one of the blog articles by our good friend, Miss Dems Angeles, we participated in developing mobile solutions that empower women through the Spark-a-Smart Change Hackathon #HackForHer, sponsored by SMART Communications and organized by SPARK! Philippines and J. Amado Araneta Foundation. 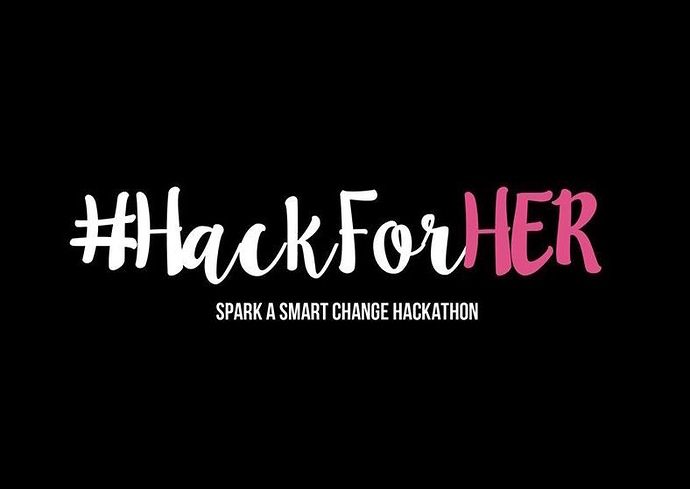 We may not have won the top prize (we bagged the third place), just being there and being with the community and brushing elbows with some of the most creative and innovative men and especially women is more than enough honor and pleasure for our hackathon team. 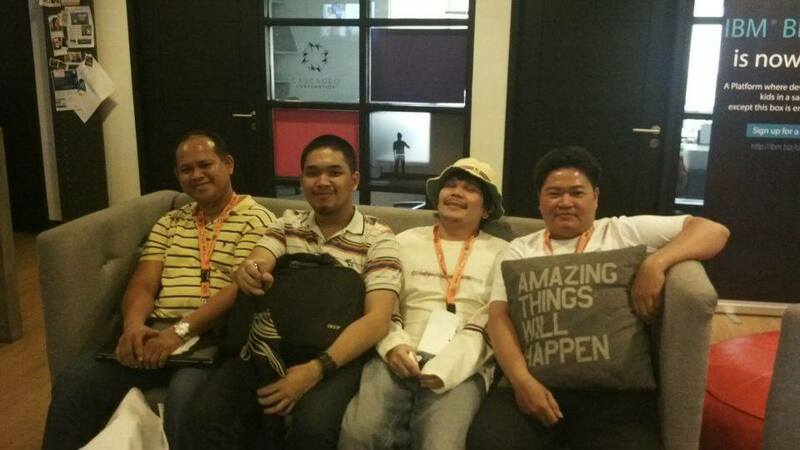 On 6 June 2015, we participated in the Windows 10 Code Camp at Microsoft Philippines, organized by DevCon. We may not have Windows on our technology offering nor it may seem contrary or deviating from our Weapon of Choice Technology Stack, but we have to be open minded to know, observe, appreciate, and understand current technological breakthroughs from other platforms so that we can foresee where the future direction of technology and its impact on society can be. From 8 to 9 August 2015, we joined the AngelHack Manila 2015; we did not figure through the elimination, but we have gained better than can be asked for: we got a new member, that completed our quartet hackathon team, composed of Wilson Censon, Juani Tarroja, and now, with Mat Timpug. We are very grateful for two events we participated in on the first quarter of the year 2015. First is the IT Mania 2015, held last 31 January in AMA University, Quezon City, organized by the Junior Philippine Computer Society (JPCS) led by Marigold Cardeño in coordination with Freelancer's community manager, Nikko Magalona. Being a former JPCS Research and Development Committee Director during my college days, it was like meeting old friends. And the Web and Database Development seminar held last 27 February in Panpacific University Northern Philippines (PUNP), Urdaneta, Pangasinan, organized for and by PUNP Computer Engineering students, namely Joemar F. Arreola, Butz M. Bautista, Marlon E. Daileg, Aljon S. Equila, Khert Patrick V. Gumangan, Julius P. Manangbao, Junipher Manangbao, Greggy T. Mendoza, Andrew Martin M. Millan, Don Lorence C. Panayon, Mark Oliver G. Rabena, Ralph Christopher S. Sadio, Darien Vaughn E. Soria, Christian Justine E. Velasco, and Mark Jayson E. Zambale. Hopefully what we have imparted would be found relevant and valuable for their career moving forward into the IT industry. The year 2014 has been fruitful for EDGEKIT Computer Systems and we're very grateful first of all, to God who provides for our personal and professional needs, to my sons, Joshua Mari Francis and Faith Lawrence, and to my better half, Angelique Therese, who inspires me to be better as a father and a person, and to family and friends too numerous to list here. 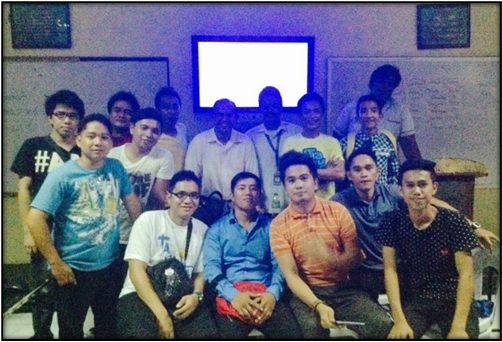 Within 2014, we have (1) contributed in the Australian Aid project with the University of the Philippines Open University by volunteering to help install Android educational apps for the Samsung Galaxy tablets in Cavite and Rizal provinces, (2) participated as a sponsor and hackathon judge in the PhilRice initiated Agri-Hackathon in Nueva Ecija, (3) conducted a seminar in cooperation with ACTS Computer College of Infanta, Quezon, (4) participated as a resource speaker for the 2014 Software Freedom Day in Polytechnic University of the Philippines, Manila Campus, and last but definitely not the least, (5) we conducted the first ever 40 Hour PostgreSQL Boot Camp Training in the Philippines for the faculty and students of the Computer Science Department, College of Engineering, Technology and Computer Science (CETCS), Taguig City University (TCU) right before December ended. This last activity would not have been possible without the visionary leadership of Mr. Reynaldo Alvez of the Computer Science Department and the very supportive university community under the able supervision of the CETCS dean, Dr. Visitacion Crisostomo, and the TCU President Aurelio Paulo Bartolome. This training also prompted us to develop a complementary Unix Training courseware. For 2015, EDGEKIT Computer Systems hopes to provide more relevant and up-to-date technology platforms and training resources designed for the tertiary computer courses and technology enthusiasts. EDGEKIT Computer Systems' blogging from 2015 moving forward focuses in no particular order on (1) Operating Systems, (2) Data Structure and Algorithm, (3) User Experience, (4) Databases, (5) IT Infrastructure Architecture, (6) Computer and Network Security, (7) Software Development, (8) Startup and Business Ideas, (9) Education, (10) Agriculture, (11) Embedded Systems and Electronics, and (12) Practical Disaster Readiness a.k.a. Doomsday Preparedness. We look forward to serve the community better.